Beirut, October 2015- Lebanon-based software vendor, BML Istisharat, is a recognized provider of banking, insurance, and ERP information system products. With more than 80% of the company’s revenues derived from exports to the United States, Europe, and the Middle East, BML Istisharat has won the contracts of over 300 companies worldwide, including Eurolife, Interbrand, and Arab Bank. BML Istisharat’s products include: Life Insurance and Reinsurance Integrated System, an operations management system for life insurance providers, Computerized Insurance and Reinsurance Integrated System, a web enabled client management tool for insurance providers, Integrated Computerized Banking System, a management software for banks and financial institutions, and Industrial Manufacturing and Distribution, a software package for manufacturing and distributing companies. 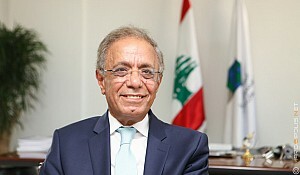 United Commercial Insurance (UCA), whose operations lay in the hub of Beirut, has been a user of the Computerized Insurance and Reinsurance Integrated System (CIRIS) for more than 17 years. UCA, which was established in 1974, is a leader in Fire and Marine. With the help of BML’s products, the company consistently achieves some of the best financial and insurance ratio in the Middle East and Northern Africa (MENA) region. 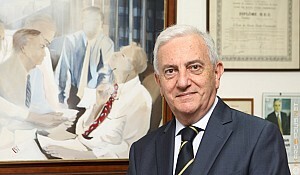 United Commercial Insurance (UCA), whose operations lay in the hub of Beirut, has been a user of the Computerized Insurance and Reinsurance Integrated System (CIRIS) for more than 17 years. Joe Faddoul, Chairman of BML Istisharat, takes pride in their products and strives to help their clients succeed. “UCA’s solvency ratio has been in excess of 100% for many years. Our success is our client’s success and vice versa,” says Faddoul. UCA has achieved solid and consistent technical results for more than a decade. Success is possible with a proper support system, which is something BML Istisharat provides for all its clients. UCA Insurance has just upgraded to BML’s CIRIS V.5.2. This version is web enabled and includes new functions and features. It will be going live with the upgraded version in January of 2016. Some companies that newly went live with BML’s software products include Middle East Bicycles (MEB), Al Mawarid Bank, and Erbil Bank. Middle East Bicycles (MEB), based in Lebanon, went live with IMAD modules: General Accounting, Inventory, Garage, and After Sales Management. Al Mawarid Bank, also located in Lebanon, went live with ICBS Capital Markets modules. In June 2015, the Iraq-based bank, Erbil Bank, went live with the Human Resources (HR) module of IMAD. They are a user of both ICBS core banking system and selected IMAD modules. “There were some recent changes to some of our products,” Faddoul explains. “Major ICBS functions are now available on mobile phones. As times change, so do our clients’ needs. We have to make sure to always meet their demands.” Both Android and iOS platforms are supported, and include various functions, such as Customers Multiple Accounts Management, Bills payments, Loan Application Simulator, Transfers, and many more. BML Istisharat is not simply a leader in software sales. They provide their clients with the assistance needed to make a success of their companies. “We train all of our clients and deliver all the support that they need,” says Faddoul. A team from Cihan Group, a major auto dealer in the Kurdish region of Iraq, was trained on IMAD modules: Inventory, Purchase Orders, Garage-After Sales, and Auto Showroom. BML Istisharat’s presence in Iraq continues to grow as the needs of their client’s there grows. The company’s new subsidiary, BML (Iraq) was recently launched in Erbil. It will support the operations of their Iraqi clients, including nine (9) banks, two (2) insurance companies, one (1) car dealer, and one (1) shipping company. 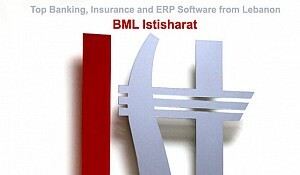 BML Istisharat’s presence in Lebanon and worldwide continues to expand. The company has been able to thrive in economies that are constantly changing. They owe this to their innovation and their eagerness to reinvent themselves and their products as the times change.